In partnership with the Mastercard Foundation and Itad, The SEEP Network advances learning about financial inclusion through the Savings Learning Lab. 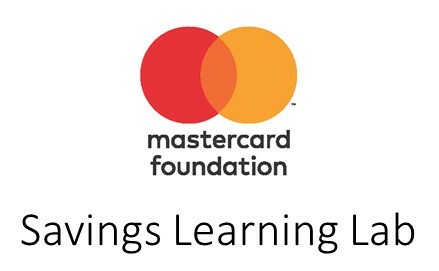 The Mastercard Foundation Savings Learning Lab is a six-year initiative implemented by Itad, in partnership with the SEEP Network. The aim of the Savings Learning Lab is to support learning among the Foundation’s savings portfolio partners (including CARE International, Catholic Relief Services, the United Nations Capital Development Fund, and the World Savings and Retail Banking Institute) through the generation, synthesis and dissemination of knowledge, as well as the improved alignment of monitoring and results measurement systems. The Mastercard Foundation works with visionary organizations to provide greater access to education, skills training and financial services for people living in poverty, primarily in Africa. As one of the largest private foundations, its work is guided by its mission to advance learning and promote financial inclusion to create an inclusive and equitable world. The SEEP Network provides the Savings Learning Lab with a structured platform to capture, share and advance knowledge through its practitioner networks and events. Since 2011, SEEP has been an active contributor to the Global Savings Groups Conference series. The global learning event engages a large and diverse community of stakeholders, develops and promotes improved standards of practice, mobilizes knowledge, strengthens partnerships and alliances, and creates opportunities for cross-organizational collaboration and learning. With support from the Savings Learning Lab, SEEP will host the biennial conference in 2018, 2020 and 2022. A Peer Learning Group is an experiential learning methodology, developed by SEEP, to address opportunities and challenges in dynamic contexts. Over a period of 6-12 months, a small group of stakeholders design, test, and exchange knowledge on strategies to address a common opportunity or challenge. With support from the Savings Learning Lab, SEEP will facilitate three Peer Learning Groups on savings-led financial inclusion. With support from the Savings Learning Lab, SEEP has established the Mango Tree, the global resource on Savings Groups, and will convene over 40 in-person and virtual learning events.